Of course, as any home or business owner knows, this is rarely the case. Ideally, your furnace, air conditioning unit and other HVAC appliances would run without any trouble to a specified life expectancy. Of course, as any home or business owner knows, this is rarely the case. 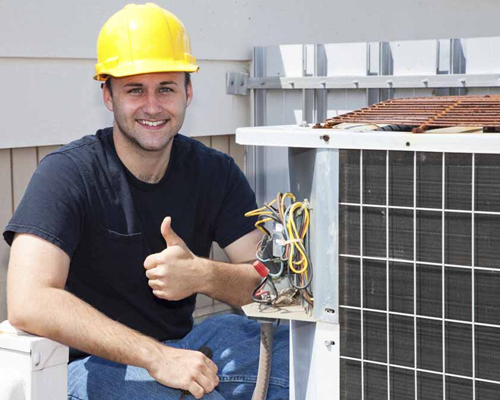 At TSC Air, we are always prepared to provide the HVAC repairs you need in Ahwatukee, Chandler, Gilbert and Phoenix. TSC Air understands that your HVAC systems and equipment can break down at any time, possibly causing discomfort, inconvenience and even your safety. For the good of you and your family or employees, our technicians are available 24 hours a day, seven days a week, and will put their skill and experience to work getting things back to normal. Beyond just seeing that your appliances are working correctly, we strive to enhance the efficiency of your property’s energy use. If you need a new installation, we carry units that are very high efficiency at up to 19 SEER. We can do split system air conditioners or heat pumps, and can assist with both electric and gas heating systems. Your duct and air filtration systems are something we can handle and we also offer programmable thermostats. Finally, be sure to ask about supply and return grills, as well as package rooftop units. Because we want to save you money from the get go, we always get things started with a free estimate of your project and HVAC repairs. Give us a call any time to schedule yours. For the best HVAC repairs and services in Ahwatukee, Chandler, Gilbert and Phoenix, contact TSC Air. It will be our pleasure to serve you!